How to watch Prison On Fire II (1991) on Netflix Taiwan! Yes, Prison On Fire II is now available on Taiwanese Netflix. It arrived for online streaming on December 29, 2018. 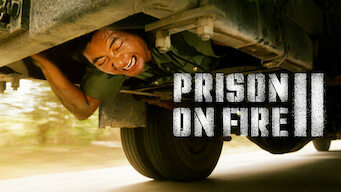 We'll keep checking Netflix Taiwan for Prison On Fire II, and this page will be updated with any changes. The rivalry between two Chinese prison factions heats up as a seasoned inmate forms an alliance that could cost him more than his freedom. He crafted an elaborate escape plan to see his son in an orphanage. But his biggest challenge may lie inside the prison.